My girls don't have a lot of green in their wardrobe. If there was a holiday where you had to wear pink or purple to avoid being pinched, we would be all set. In years past we have had to raid our brothers closet, but this fun clover leaf lay would take away the need for that. Not to mention it is a lot more feminine that your older brothers t-shirt. And a fun St. Patrick's Day activity too. 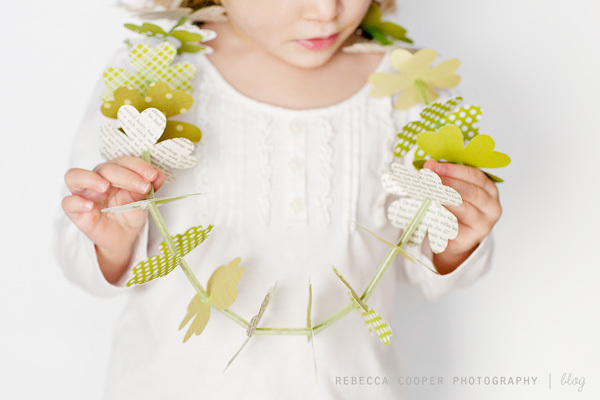 You can check out the tutorial for these clover leaf lays over at Simple As That.